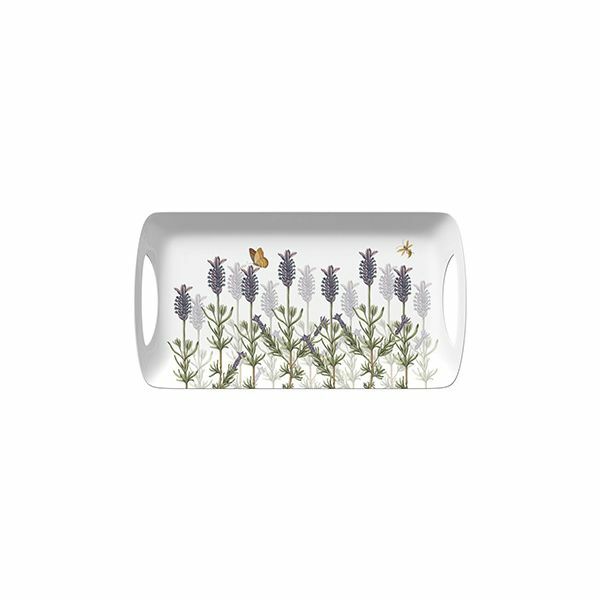 This Small lTray is made from melamine and features The Royal Botanical Kew Gardens Lavender design which highlights the natural beauty and elegance of Lavender. It is easy to clean - just give it a quick wipe with a damp cloth. Dimensions: 390mm x 200mm x 25mm.